I am so happy that I found your post!! I love how you answered to every single questions and addressed them with such vast knowledge and simple explanation that are easy to understand. You amaze me! I just bought two The ordinary’s skincare to fade my acne scars and smooth bumpy skin texture. I bought Niacinamide and Lactic Acid 10%. But I don’t know how to layer the products with the ones that I am now currently using. Currently, I use Aloe gel 97% and Life Pro Rosehip oil every night for the night routine. The Rosehip oil was amazing in helping me fighting the acnes, but it won’t fade my acne scars. That is why, I decided to give Niacinamide and lactic acid a try. Actually, I was worried if Lactic Acid would be too harsh for me since this is the first time I use acids. However, as I tried it now, my very first impression with the Lactic Acid is that the product does sting here and there, but only a little bit, not overly stinging. Like.. if overly stinging were a stormy thunder, then these stings were like, sparkles. I didn’t know the right order of layering these products, so I tried to go with Niacinamide first, then Lactic Acid, Aloe vera gel, and last, Rosehip oil. I also gave several minutes interval in between each products I applied. Which one goes first? Do I have to alternate the Niacinamide and Lactic on different days? My type of skin is combination and acne prone. It’s oily in Tzone but slightly dry on the cheeks. Oh, and I’m 27. Every morning I only use sunscreen and light moisturizer with some baby powder. Oohh, and I also have a question. How to reapply sunscreen? I live in tropical country with 87° to 91°F of temperature. So it sure gets a little bit hot lol. Thank you so much, Gio! I wish you have a great weekend! Ani, thanks for your kind words and support. Always happy to help. If lactic acid stings (sparkles) a little, try using it on alternate night to get your skin used to it. As a rule, the exfoliant always goes first. That’s because it helps remove dead cells that could compromise the absorption of the other actives. Then, niacinamide, aloe vera gel and rosehip oil. Hey, I am new to skin care and I am currently using Glow Tonic by pixie during the night time, and I was wondering if it would be fine to use C-FIRMA™ DAY SERUM by drunk elephant during the day time? or should I alternate between the two ? Kariny, yes, you can use C-Firma in the morning. Thank you for these advices, I found them very helpful! I have a question: I saw on a video online that you should never use vitamin C serums with collagen, because it can “clog up” and ingredients can’t penetrate the skin. Is that true? My eye cream contains collagen, should I not use it after my 5% vitamin c serum? Thank you, sorry for my poor english! Giuly, this is the first time I hear of it! There’s nothing wrong with using collagen after vitamin C, don’t worry. Hello Gio, I find your answers so useful! Especially when it comes to the ordinary products with with we can easily do too much as they all seem great. So I figured out for my skin type ( combination skin prone to breakouts but sensitive) the best would be salicylic acid from the ordinary and the niacinamide + zinc actives. I just wanted know how to apply them? After cleansing and before moisturizers for sure but in which order or can I just mix a bit of both in my hand before applying or is the composition likely to react badly if I do this? Roxanne, glad you find my blog useful. As a rule, exfoliation goes after cleansing. That way, you remove both the dirt and dead cells that accumulate on your skin and prevent active ingredients from getting through. So cleanser, salicylic acid, niacinamide + zinc and moisturiser. Loved reading all your comments your advice is really good. Recently I started using new products and acids but I think I used too much together too soon and my face was irritated for a couple of days. I have normal/combination skin. It gets dry in places where I had spots. Usually around my chin area. I have small red marks on my face where spots used to be. I would love if you could give me a some indication on how and when to use the products I have. As in which can be used together and which should be used at separate times in the day. Nivea Q10 night and day moisturizer. Hi Lisa, I’d love to help but there’s something that’s not very clear. Are you prone to spots? I know you mention you had them but do you still have them? Is this a regular occurrence? If it is, use The Ordinary Salicylic Acid followed by Effaclar Duo and Nivea moisturiser ONLY on your spot-prone areas. If they’re not and you just want to get rid of the red marks the pimples have left behind, use Pixi Glow Tonic followed by Illuma serum moisturiser on that area. You can use Nivea moisturisers all over but the other products should go only on problematic areas. Hope this helps. Great blog, it is very informative. I have acne breakouts periodically, which I believe is improving through diet and lifestyle changes. My main concern is scarring which I get, even if I don’t squeeze the spots. The most bothersome skin issue i have is general hyperpigmentation except for the center of my face which is a few shades lighter. And finally AHA 30% BHA 2% Peeling Solution which I will start using once a week. Please advise on an Am and Pm routine. Hi Marlene, first of all, I’d advise you to choose your skin-listening treatment. It’s true that the gentlest treatments like niacinamide can be used with other skin-lighteners but 4 products in your list are skin-lighteners and that’s too much. In particular, I’d advise you to choose between azelaic acid and ascorbic acid + alpha arbutin as really there is no need for both. Try both for a couple of weeks each and figure out which one works best for you. Use it after cleanser. AHA 30% + BHA 2% is very powerful. I wouldn’t use it more than once or twice a month. Niacinamide can be used daily with other skin lighteners (after them). Squalane oil is the last step. Hope this helps. Thank you so very much Gio for taking the time to explain skin care. I have been reading/taking notes, etc. I have “mature” somewhat dry – photoaged skin. I have had repeated TCA peels which I healed nicely after applying a copper peptide to healing skin. Was once on Obagi and microdermabrasion to get ahead of photo damage and smoking. I quit smoking, and had a PHENOL peel to upper lip. I am traumatized over that. I don’t recommend that to anyone. I am so thankful I found this information for I may be doing everything wrong! Perhaps a Squalane (olive) or Hyaluronic Serum…wait 30 mins. In reading the ingredients, the products list purified water, glycerin, then possibly a preservative before any of the ‘meatier” items like vitamin a, etc. I am not sure if I am doing anything very well. My skin does look pretty good considering I was once a sun worshipper every chance I got! Does the glycerin in the products form a BARRIER that makes other products less effective? Are there better items to use that haven’t been washed out with water, glycerin, preservatives? Barbs, my pleasure! Glad you find it helpful. If this skincare routine works well for you, I don’t see any reason to change anything.If you exfoliate with glycolic acid, make that the first thing you put on your skin after cleanser. Also, if you’re using Retin A, you don’t really need a toner with vitamin A too. I agree. But I know some people, especially if they have sensitive skin, like to do the opposite to slow down absorption of active ingredients. i did buy the ordinary glycolic acid 7% toning solution, but i am alternating that with the retinoid – every other night at this point – to avoid using them together. does this sound okay? like i said, i’ve typically been a minimal skin-care routine gal up until about 2 weeks ago and i’m reading a million different posts like yours but feel pretty overwhelmed. i’ve never seen a dermatologist because i haven’t needed to. in advance, thanks! Natalie, do you know what your skin type is? Niacinamide + zinc is for oily skin but the glycolic acid 7% toning solution is for dry skin. So you only need one of these products. The other products you’ve chosen look fine to me. I’d just change the order of application slightly. Salicylic acid is the first thing after cleansing. Oils are always the last step. Also, if you’ve never used retinoids before, use granactive retinoid only a couple of nights a week and build up frequency slowly. Dilla, apply alpha arbutin before moisturiser in then morning and niacinamide before moisturiser at night. Do you know what causes your dark circles? The treatment is different depending on the cause. Thanks so much for your helpful articles. I just started using Sunday Riley’s Luna Sleep Oil (retinoids) at night and put her Good Genes Lactic Acid ( AHA) on just before (use it in the morning too). This article seems to be saying, don’t mix those two. Am I understanding correctly? In the morning I use a Vitamin C serum before the lactic acid and now don’t know what to do. Debra, I recommend not to mix them because daily exfoliation paired with other powerful actives can be irritating for some skin types. However, if you have very resistant skin that can tolerate it, you can keep doing your current routine as always. Hello GIO, thanks for make a very usefull article. I wanna ask you some questions. I just bought Good Genes and Luna from Sunday Riley and wanna give them a try. I read a lot of articles advice to use moisturizer since both of them are strong acid. Can I use moisturizer contains Niacinamide after I apply Good Genes (Lactic Acid)? Your reply will be very appreciated. Thanks for your time ! Ribka, yes, you can use niacinamide after lactic acid. Hi Good, just found your site and oh boy is it informative. I love it. I’m Trinidadian and I’m olive toned. I am 32 & I have now started experiencing acne for the first time in my life. I’ve purchased some items from the ordinary and I will like some advice on how to use them. I did your skin type quiz and I’m a no. Two. These are the products: advanced retinol 2%, lactic acid 10% + Ha, alpha lipoic acid 5%, aha 30% + bha 2% peeling solution, 100% organic cold pressed rose hip seed oil, niacinamide 10% + zinc 1%, ascorbyl glucoside solution 12% and salicylic acid 2% solution. Note that I also have dark acne scars and still get the occasional breakouts. I also have some open pores in the t zone area. I look forward to hearing from you. Thank you. Hi Nikita, definitely start with using the salicylic acid 2% solution every day, morning and night right after cleansing. Then, in the morning, follow up with ascorbic glucoside and niacinamide + zinc. In the evening, follow it up with alpha lipoic acid and reship oil. Three times a week, use advanced retinol instead of lipoic acid. I don’t think your skin type needs lactic acid + HA. If you’ve got breakouts, stick to salicylic acid – at least until they’ve disappeared. You can use the peel once a month. Hope this helps. Love your site! I just received Argireline and have been using tretinoin for years. During my evening routine, would I apply Argireline before or after my tretinoin/retin-a? Thank you for any tips. The rule of texture says the most lightweight product goes first. The rule of active says the product with the most powerful active (in this case tretinoin) goes first. As argireline isn’t as powerful as tretinoin, I’d use it first only if the texture were very lightweight, toner-like. Otherwise, put tretinoin on first. Hi there I am wondering if it is a good idea to mix Vit B3 serum with Rosehip oil … i have both sitting in the cupboard! Kris, I prefer to layer products one after the other but yes, you can do that. I just started using Good Genes and Luna Oil – per Sunday Rliey’s directions I have been using Luna followed by GG at night. Would you recommend alternating these instead of using on top of each other? Thank you! Elizabeth, I’m not sure why you would apply GG after Luna because GG is an exfoliant and exfoliants must always be used first after cleansing (and toning, if you do this step). But yes, I’d recommend using them on alternate nights at the beginning. Love your blog, I’ve been reading through it for the past few days. I am a fan of Paula’s Choice and have just discovered and purchased a couple of items from “The Ordinary”. I am alternating the Ordinary Granactive Retinoid Emulsion 2% with The Oridinary Hyraluronic Acid 2% + B5 each night (with The Ordinary Buffet appliedfirst), and was wondering if I could continue to use my Skin PerfectingPaula’s Choice 8% AHA Gel as well? I was alternating the AHA Gel with Paula’s CLINICAL 1% Retinol Treatment up to trying the Ordinary with no problems. I’ve only decided to try The Ordinary as I’d heard good things about it and it is far less expensive than Paula’s Choice. Thank you. Lisa, thank you! So glad you’re enjoying my blog. Yes, you can keep using the 8% AHA Gel. Just alternate it with The Ordinary retinoid as you were doing with Paula’s Choice Retinol. Hi gio, i’m so glad to stumble on your website. It’s so helpful. Thanks for your kindness and effort. I want to ask about my skincare routine. 3. I use the ordinary AHA + BHA twice a month. But recently i just bought sunday riley good genes. How can i incorporate this into my PM routine? I have an acne prone skin. It’s all better now but now i’m left with lots lots of acne scars. your skincare routine and its order is fine. I’m not sure Sunday Riley Good Genes is the right product for you. Acne-prone skin needs salicylic acid, not lactic acid (the one in Sunday Riley Good Genes). Unlike lactic acid, salicylic Acid can get inside the pores and remove all the excess oil and dead cells that clog them up. I understand you want to use up Good Genes as it’s expensive (especially if you live in a country where you can’t return cosmetics), so I’d use it three times a week at night after the toner (or even in place of the toner. If you want to switch to salicylic acid, do the same. Now I have several questions. I just bought Sunday Riley GG. Where can I fit this in the routine? I know this seems like a lot since I know you say you like to keep things simple. I’m 31 with combination skin, early signs of aging btw. Second question. What would you change in my routine? Should anything be taken out or order changed/switched? I feel like it’s a lot and I’m not sure it’s working for me. Third, from reading lots here I just came to realize that my toner (aha bha) probably won’t go with Sunday Riley GG, am I right? I’m concerned. I’m really trying to invest in my skincare and my skin isn’t bad but I’m just not seeing anything amazing yet. Please help. Any and all feedback is greatly appreciated. Thanks in advance. Kay, that’s just what I was gonna say. If you already using AHA+BHA, you don’t need Sunday Riley. If you can’t return it, you can always alternate it with your toner. One day toner, one day GG. The rest of your routine seems fine but I’m not sure what you mean with “not seen anything amazing yet”. Apart from retinoids, the rest of your routine is preventative so it’s more about keeping your skin in good condition than fighting wrinkles. Or is there anything else you’d like to improve that doesn’t seem to? Stell, I know some people had good results with the Ole Henrinksen toner. But I believe its acids concentration is low indeed. Are there any other products you would recommend for melasma? I also have some prescription tretinoin, is it worthwhile using with the products stated above? Kodi, these are great products for treating melasma but I wouldn’t use all of them at once. Use azelaic acid for a month and alpha arbutus for another month and see which one works best. You can use them with tretinoin, but not one after the other. Use them on different days or one in the morning and tretinoin at night. If you experience dryness and irritation, cut back frequency. My name is Surbhi Goel. I am from India. I have Oily acne prone scene and my age is 40. I am new to Acid toning. I have purchased below products and I want to know if my schedule for AM and Pm is correct. Please advice If this is correct. Or some alterations are needed. I have few Acne scars also. Surbhi, yes, this routine is correct. Well done for putting it together! I recently bought Niacinamide 10%+Zinc 1% and Alpha Arbutin 2%+HA from The Ordinary, to help with acne scarring. Where should I put them? Can I use them at night with my Glycolic Night Serum, or should I alternate? Olivia, you can apply Niacinamide + Zinc after Truth serum in the morning. I’d definitely alternate glycolic acid and alpha arbutin at night just to see how your skin reacts. If all’s well, you can try using AA after glycolic. Hi, I’m using Serum C by Mary Kay and my moisturiser contains Niacimide. Is it okay to use both? Since I read ur blog- do not mix Niacimide with Vitamin C.
AS, yes it is ok. As I’ve written in the post, it’s a myth you can’t use them together. Hi GIO! I just came across your blog and it’s very informative. I’m new at this and i just want to male sure that i’m doing it correctly. Here’s my routine. I just bought TO peeling solution as well. And i want to incorporate that. Can you pla fix my routine? To make sure i’m doung it correctly. I used to use Skin Food black sugar scrub, but i think it’s better to use chemical exfoliators. Pls help me? If you can enumerate how to do it correctly. Please if you have time. Thank you so much! 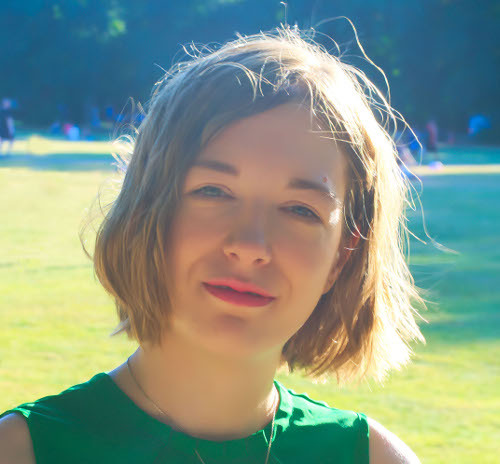 Hi Clara, use the ordinary retinol 2% before your aqua moisturiser. The rest is fine. hi gio,, I’m using vit.c serum in morning followed by moisturizer with peptides and I find out that vit.c and peptides cannot use at the same time? em I right? and I wanna use the estee lauder night repair in the evening , is it still possible to use that eventhough I’m applying vit.c in the morning? and lastly I’m using whitening cream with with alpha arbutin in the evening.. please let me know what is your suggestion thank you. Odie, vitamin C works well with most peptides. I don’t seen any reason why you shouldn’t be able to use all these products together. thanks gio! can u please check if my skin care routine is correct. cleanse,toner, estee lauder night repair serum, 24hr lightening cream with alpha arbutin, and lastly estee lauder revitalizing supreme anti aging cell power. Odie, yes it is correct. But I wouldn’t rely solely on a moisturiser for SPF. It’s always best to use a separate sunscreen. I’m curious… I’ve been using tretinoin cream in the PM and Clyndamycin gel in the AM for a few years now. I’ve switched other products but these are constant. I’ve heard good things about niacinamide + zinc so I got a serum – can I use that with my clyndamycin in the mornings? I’ve also read that you shouldn’t use products with tea trea oil with any retin-a products. Is this true? I also have an essence with vitamin c and e and am trying to figure out how to incorporate it into my routine – would you recommend that i simply take an evening or two to use this instead of the tretinoin? Brie, yes you can use niacinamide with Clyndamycin. Or you can use vitamin C in the morning with clyndamycin and niacinamide at night tretinoin. Tea tree oil is for acne and you’re already using ant-acne products so I don’t see any need for you to use this as well. Thank you for this!! I just got some vitamin c oil and some squalane oil, is it okay to use together? Sarah, it is ok but you will probably dilute the vitamin C a little. That may make less effective but also gentler. Or you can layer them. I’m so happy that I found your blog! It’s very helpful and I definitely learn a lot from you, please keep up the good work! I read somewhere at your blog about Vitamin C works best at an acidic pH, around 3.5. However, the ordinary MAP has a pH of 6.5 to 7.5, does it mean it is less effective? Also, can I apply MAP followed by hyaluronic acid and lastly rosehip oil in the morning and at night? Is this routine correct? I also read from your blog that too much retinol can cause skin irritation, i.e. choose either retinol or rosehip oil (as rosehip oil is a natural source of vitamin A). My question is, retinol usually has a pH of 5.5, does it mean rosehip oil has a pH of 5.5 too? And is there any difference between rosehip oil and retinol serum, other than their texture? Claire, thank you so much for your support. So glad you’re learning a lot from my blog. Rosehip oil has a skin-friendly pH too so what you use mostly comes down to personal preference. It’s me again! Just to add on to my comment above, you did mention about 1% Retinol is considered strong, what does the 1% mean? Is it 1% concentration of vitamin A? How many % does rosehip oil has? For example rosehip oil from Life Flo and The Ordinary. Also, can we use rosehip oil after applying AHA products? Claire, yes 1% is the concentration. Retinol products usually state the concentration of retinol while rosehip oil doesn’t list the amount of vitamin A so it’s impossible to know for sure how much it has. 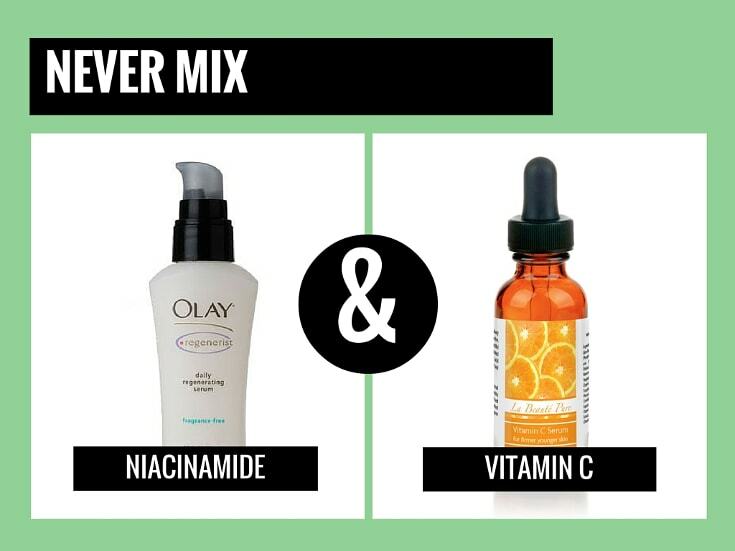 Most people can use them together but if your skin is sensitive, it may be better to alternate. Hi Gio! Amazing blogs! I want to update my skincare routine to fix my rosacea, blemishes and acne, but I don’t know where to put my Vit. C (Klairs Vitamin C Serum). Any suggestions where to put vit. c and Is my skincare routine is right? Angela, I’d use it after salicylic acid in the evening. If your skin is happy with this routine, I wouldn’t change anything. just found your amazing page, and have been reading it for hours! you have really helped me in researching what i purchased, so thankyou so much! my skin is generally very oily with no wrinkles but very enlarged sebacious pores. im hoping the retinoid will help, as well as the peeling solution (i’m new to both products). my question is: can i use all four products realistically together? i dont want to overload my skin…and i know you should only use the peel mask once a week or so, but i was wondering if i should perhaps alternate the use of vitamin c and retinoids to every other day? or could i maybe use the vitamin c in the mornings and just leave an hour between applying niacinamide? then i could use the retinoids in the evenings and get the benefits of both each day? or is this too much? Jo, so glad you’re enjoying the blog. Thanks for your support. First things first: have you ever used vitamin C, retinoids and exfoliating acids before? Because if the answer is no, you should definitely not use these products together. In fact, I would argue that these aren’t the right products for you at all! With such powerful actives, you want to start with small concentrations and build your way up slowly. You went straight to the highest doses and that could serious dry out your skin and make it peel. If you still want to give them a go, start with the retinoids. Use it two or three times a week for a month. If you find it a little drying, follow up with moisturiser. If you experience some peeling, follow up with moisturiser too as that can help counteract the drying effects. If after a month your skin is fine with the retinol, go in with the vitamin C in the morning. Again, start 2 or 3 times a week and build up frequency gradually. Niacinamide you can use daily, either at night or in the morning. Instead, I would not use the peeling solution. Imo, the #1 thing oily skin needs is salicylic acid. You need something that stays on the skin for hours every day, not a peel that stays on for 10 minutes once a week. If you can, return it and get the Salicylic Acid 2% Solution instead. You can use it daily, either in the morning or at night. Hope this helps. Hello Gio! can i use the some by mi miracle toner together with the ordinary niacinamide or the alpha arbutin one?? Nadia, yes you can use it with niacinamide. But I’d alternate it with alpha arbutin. Maybe try using them on alternate nights. Hey i got 2 questions! First, is it okay to use serum that contains vitamin C(not pure vit C,but other ing. too) and then moisturizer again with vitamin C in it as an ingredient? And second, if i use 2% salicylic acid toner at night is it okay to use moisturizer with vitamin C in it(the same moisturizer as day time)? 1. That depends on your skin type and how much Vitamin C is in each product. If it’s sensitive, using two products high in vitamin C may be too much. But if one of the products has a lot of vitamin C and the other just a sprinkle, it’s fine even for sensitive skin. 2. If your skin isn’t sensitive, then yes it’s ok.
Hello Gio! Love from Malaysia! Enjoying your blog and hope you can blog more on skincares because im a total newbie! Just curious, can i wear both niacinamide and alpha arbutin in a routine? Also, can you tell me if my routine order is alright? Nisa, your routine is fine. I’d just apply alpha arbutin before niacinamide. Or you can use one in the morning and the other at night if you’d like to make your skincare routine a little shorter. Hi Gio! wonderful post! I was wondering if you somewhere publish your sources or if not, if that is something you could consider doing? It would be nice to be able to read in depth and try to understand the science on ones own. Thank you! Gabrielle, yes, I link my sources. If you click on the links in greens, it will take you there. I ordered The Ordinary Granactive Retinoid 2% in squalene few weeks ago, and I forgot about it and I ordered Some by Mi Toner. Surprisingly both products came at the same time. but is it alright to use both products at the same time? Christina, I’d start with the retinoid and, after a couple of weeks, introduce the toner. That way, if one of the products doesn’t work for you, you’ll know without a shadow of a doubt what the culprit is. Hi Gio 🙂 Thank you for your blog, is really helpful and inspirational 🙂 You are very kind person. I’m 23 and I’m only begginner in skincare but I love it! I want to ask you if it’s ok to use this products in my routine. Hi Karina, thanks so much for your kind words and your support. Means a lot. You have a great skincare routine. I have to say I don’t care for Lancome skincare and I don’t think toners are necessary so if you want to cut a step out of your skincare routine, you can take the Lancome tonic out. I know that Pixi Glow has a great reputation but that’s a toner for dry skin. If it’s oily and a little sensitive, it won’t give you the results you want. Instead, try salicylic acid. The Ordinary makes a salicylic acid product you can use every night. Thanks for such in depth posts, your site is amazing! I’ve started a new skincare routine based on your suggestions for acne prone + aging skin (I’m 35 with combo skin, larger pores with some congestion and the occasional cystic acne around my jaw line) and am already seeing some improvement. Would you change anything? Amber, so glad my post helped. That’s a great routine and it seems to be working well for you so I wouldn’t change anything. Chances on your site yesterday while trying to find the perfect product combinations without getting further confused in the maze. You’ve not (at least upon searching) reviewers Dr. Dennis Gross peel pads. Any reason? I would love your input on what you think about my current regime, if you have a moment. I am 45. Olive skin. Never had any skin issues till my early 30’s. A few month ago I discovered the power of chemical exfoliants. Confused about the kinds available and ones best suited to my needs. Skin – olive. Doesn’t burn easily. Discolouration. Dullness. Frequent hormonal blemishes. Some congested pores. Normal to dry skin. Dr. Dennis Gross alpha beta cleaning gel. Love it! Paula’s Choice 2%BHA. Wait 5 minutes. Dr. Dennis Gross Ferulic and Retinol anti ageing moisturiser. Sometimes a raspberry seed oil. Double cleanse with coconut oil and Dr. DG alpha beta gel. Dr. DG Ferulic and Retinol Anti ageing moisturiser. I am curious about adding Paula’s Choice AHA to my routine. Thoughts? Shalan, are you talking about these pads? https://www.beautifulwithbrains.com/dr-dennis-gross-alpha-beta-extra-strength-daily-peel-review/ They’re one of the few Dr Dennis Gross products I really don’t like. If your skin’s on the dry side than AHA can help BUT, I think it’s best to unclog those congested pores and deal with the hormonal acne with BHA. Once that’s dealt with, you can switch from BHA to AHA. I’m a fan of both exfoliation and retinol but I think you’re using too much right now. ONE skincare product with retinol in your skincare routine is more than enough. In fact, it’s best to start with one small dose of retinol and increase that dose overtime than bombarding your skin with 10 retinol products at a time. So pick one and use it at night only. Hope this helps. Hi Gio, can i use hada labo hydrating water gel after using epiduo gel? I only put the epiduo on my acne. My doctor said to put on spot area only. But then i feel like my face is drying because i did not put any moisturizer after cleansing. So can i mix together that hada labo and epiduo? Hope you can clarify! Anna, yes you can. But don’t mix them. Apply epiduo on troubled areas first and then hada labo all over. Im so happy i found this page, thank you so much for enlightening us who are overwhelm with all the skincare in the market, this really helps me to understand products. I think I am lacking the exfoliation stage which I think is really important, I have Corsx BHA Power Liguid as well as Corsx AHA Power Liquid, do you think I can use it on days i dont use the retinol? Like Thursday? Can I use BHA in the morning of Thursday and AHA in the evening? However, I am scared because my skin is a little sensitive, I tried applying retinol overnight then my skin reacted with little bumps and dryness, i fix that by incorporating heavy moisturizer with oils. Or can i just opt to use a gentle daily exfoliating toner? 2nd, currently I dont have any active pimples, mostly pimple marks and bumps here and there, for pimple marks I am eyeing to add niacinamide or vitamin c in the morning before my Plush Triple Hyal Face Acne Solution 23H, can you suggest which one should i try first? Hoping to hear your thoughts in this please, as still I am really overwhelmed . Thank you! Apple, what is your skin type? BHA is for oily skin while AHA is for dry skin so you just need one. Having said that, if your skin is dry and sensitive, lactic acid would be the best exfoliating option for you. You can use the exfoliants a couple of nights a week, right after cleansing. Hi Gio, informative, but I think you should correct you post regarding “don’t mix retinol and Vitamin C # as there are loads of different types of retinol and Vitamin C, which are happily coexist together in one bottle! For instance Tetra-C and grantactiv retinol (from Grant) spl? Also Encapsulated Retinol. As well as MAP have Ph of 7 and works great with Niacinamide. Irina, thanks for your comment. I did mention Vitamin C in the form of L-Ascorbic Acid but rereading it, I couldn’t make it even clearer. Thanks for bringing this to my attention. Jes, I agree. They can totally be used together. Like I mentioned in this article, it’s only when they make your skin flush that you should use them separately. I have been using retin + erase at night waiting 30 min and then using GIGI 15% azelaic acid for PM and then for AM I have been using dermed totarol serum on my oily zones. I wanted to try adding the ordinary Niacinamide 10% + Zinc 1%. Where should I put this into my routine? Alyssa, use it in the morning after your dermed serum. Hi Gio! I really love your articles but i still need your direct instruction for using skincare routines for AM and PM! So I am a new user of The ordinary products. Those items include: Hyllronic acid, Niacinamide, alpha arbutin, vitamin c suspension, caffein eye contour, the moisturizer which i forgot the name and rosehip oil. i also have aha/bha clarifying toner and PIXI glow tonic that i usually use after face cleansing. So i found it confused how to use these. My skin tone is more to dry sensitive and some dark spots eneven tone and acne prone/acne scars. Kindly need your direction for am and pm skincare! thankyou so so much!!! I’m so glad I found this site . So I have a couple of questions regarding my skin care regimen. I have melasma on my cheeks and in the past would use hydroquinone for a short period of time . I have been using retin -A 0.05% periodically.. I dont have many wrinkles yet for my age which is 50 so I feel lucky .however I want to start a new regime and this is what I have purchased and started to do. 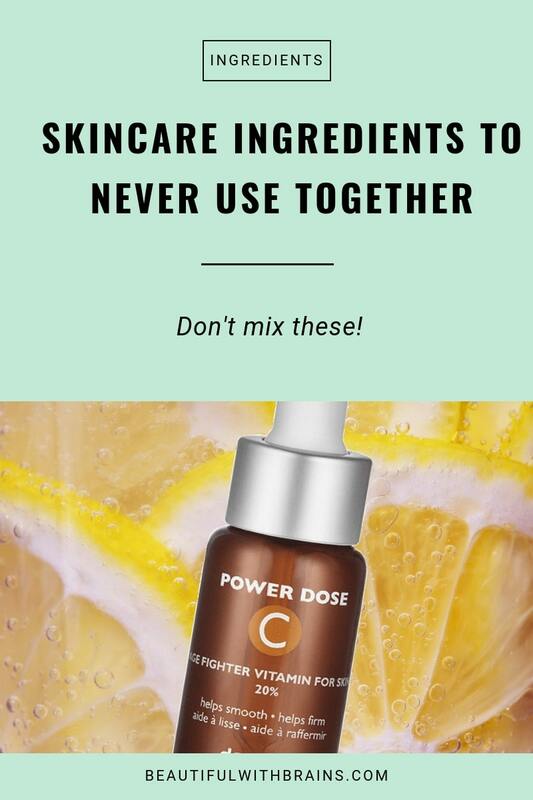 Then add timeless vitamin c 20% + feroulic acid then the ordinary lacid acid 5 + HA and then timeless coenzyme q10 and then either olay regenerist with spf 30 or cera v pm followed by la Roche posay face spf 60. PM: cleanse with face wipe then with cera v cleanser then I put on the retin A and then Olay regenerist micro sculpt cream . I was thinking about putting that on over top of the retin -a or is that overkill and should I alternate nites with the retin-a ? Also am I using the right products and if down the road I want to bring in the hydroquinone back in when should I be placing that ? Monica this is a great routine but I wouldn’t use Lactic Acid every day. A couple of times a week is more than enough. I’d use alpha arburin in the morning on days you’re not using lactic acid. If you want to bring hydroquinone back, stop using alpha arbutin and alternate it with retina A at night. I think I am doing this all wrong. My skin is irritated because I kind of went hog wild and bought everything because it was affordable. My skin type is dry, and for the last year or so have been having hormonal area breakouts pretty badly. (age 31) I’m also dealing with beginning signs of aging, enlarged pores, and dullness. I just purchased and have begun using the following routine. Can you tell me if I”m doing something wrong? Hannah, I wouldn’t use niacinamide + zinc. That’s for oily skin. Yours is dry. Also, while I usually recommend AHA for dry skin, you also have hormonal acne and enlarged pores. In this case, it’s best to switch to salicylic acid. Use it until your skin is under control and clear again. After that, you may go back to AHA if you prefer. Also, if your exfoliate with salicylic acid or AHA, you may not need a peel in the evening. every day may be too much for your dry skin. 1. If I want to try introducing adapalene in my PM, would it be effective if i use it alternately with TO Retinoids? Because i think adapalene needs to be used consistently/every night? 2. I also want to try new moisturizer that contains Aminopropyl Ascorbyl Phosphate and arbutin, would it be a good idea to do it with my current routine? Laras, you’re right, I don’t recommend using lactic acid every night, especially NOT as you’re using BHA every morning! Exfoliating both morning and night is totally unnecessary and can cause trouble in the long run, especially as the temperatures turn colder. Just pick the exfoliant that best works for your skin type and stick with it, if nothing else because you’re wasting time by using 2. Yes, if you go on adapalene, remove all other retinoids from your skincare routine. And if you go for the new moisturiser, stop using The Ordinary azelaic acid. What do you think of Beauty Counter? Marian, I have mixed feelings about them. They use effective active ingredients but their products are full of essential oils and fragrant extracts that can be irritating, especially for sensitive skin. Zia, this is a tough question to answer. It’s not that there’s something wrong with this combo of products. It’s that everyone’s skin is different and the same combo can have different effects on people. In this case, there’s definitely something that’s bothering your skin. Have you tried using the products individually on your skin and see if that makes a difference? It should help you identify who the culprit is too.